Always remember your current, nearby or favorite locations by giving them a useful name e.g. 'My School', 'Favorite Restaurant' or 'My Home'. 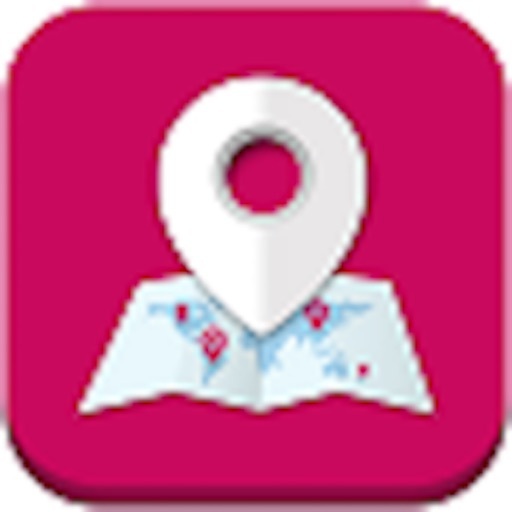 Save, find, organize and load your favorite locations then get directions or distance to a location or home. See places nearby for food, drinks, coffee, shops, sights, special deals and more. Restaurant photos and menus. Places Nearby for food, drinks, coffee, shops, arts, outdoors, sights, with special deals or that are top picks using FourSquare. Also can create your own places nearby 'My Places Nearby' query to find places of interest to you. Includes place photo, specials, and menu, if any. The slide-out hamburger menu has various options to do the following. Directions Home gives your directions home (1st saved location with 'Home' in the name). Your History shows your location history (you can turn this OFF). Property Listing shows listing details for the current location. 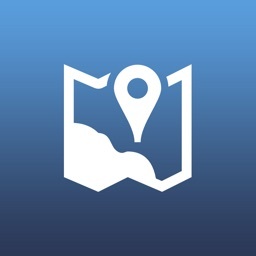 Location Photos shows any available photos for your current location. Directions using Google Maps uses Google Maps instead of Apple Maps (the default) to get the directions. Show in Apple Maps shows location in Apple Maps. Show in Google Maps shows the current location in Google Maps. Google Maps Street View shows the current location in Street View. Google Web Street View shows the current location using the web version of Street View. Settings display app-wide settings. Help Information displays details help information. 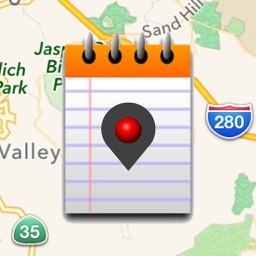 Use the top of map Home icon to get 'Go Home' directions using Apple Maps at any time. 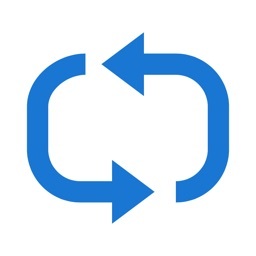 Use the bottom of the map arrow to return to your current location at any time. Use the Street View icon (bottom right side map) to display street view details for your current location. Your current location address will include the current temperature for the location, if available. 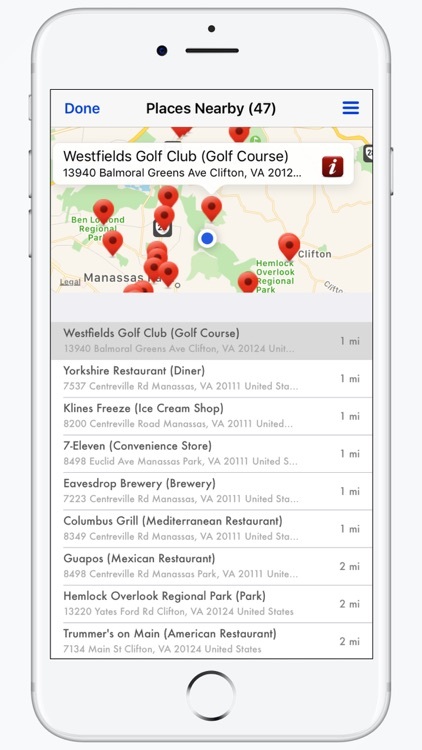 Save, name and manage your current or found locations. 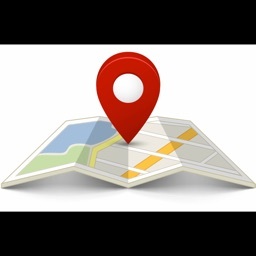 Reload your saved locations to get directions or distance to them from your location. Want to remember your current location (discovered bar, store, etc..), then just do a save and give the location a name you will remember. To find your way back, load your saved location and then choose directions to get from where you are to the location. You can also change the saved locations named using the Edit function under Load. Search for places such as businesses, addresses, and points of interest using Places AutoComplete. Share or copy current or loaded locations address. Places Auto Complete provides auto-complete functionality for text-based geographic searches, by returning places such as businesses, addresses, and points of interest. 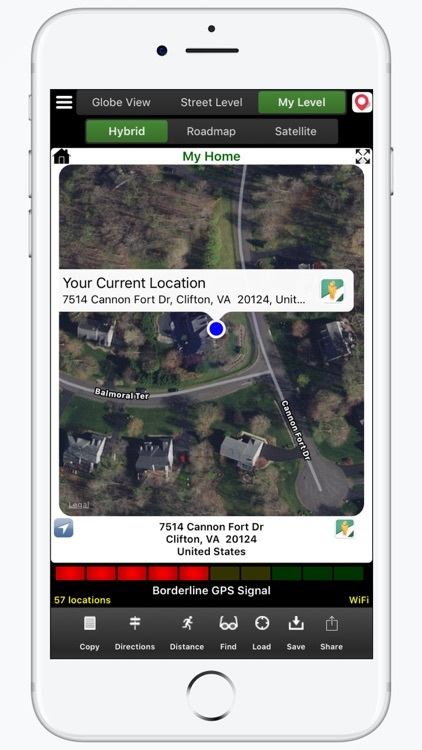 View the globe, street or user level view for your current location or saved location. Also, view the street view for any shown location. A map satellite view of your current location with features such as roads, pools, and terrain is shown. Your current address is always shown on the map. Various views such as a globe, street, your level, hybrid, roadmap, and satellite can be shown. Pinch and swipe controls for zooming and panning the map. Use full-screen mode or print map using AirPrint. 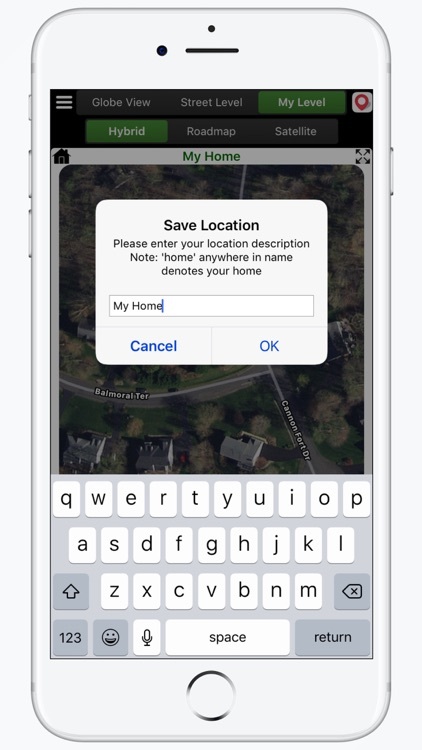 When your current location matches a saved named location, the saved name is shown above the map with your current address below. 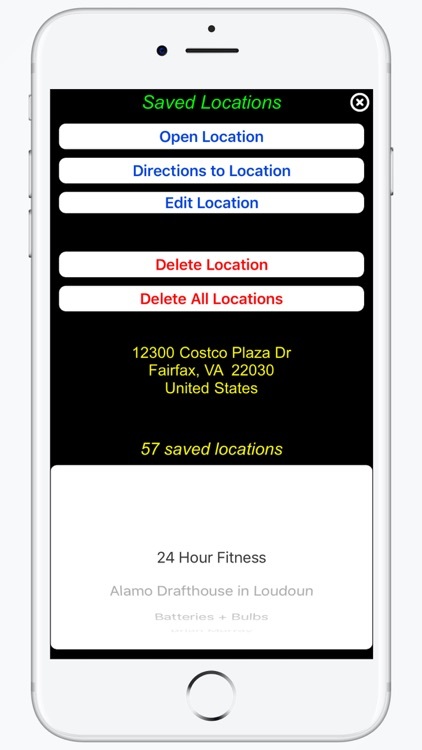 When loading a saved location or finding a location, can get the distance between that location and your location or get directions to the location. 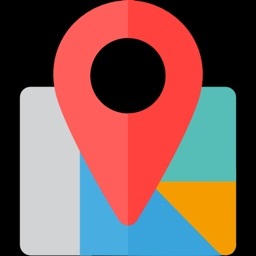 Share a location using a variety of services including Email, Twitter, Facebook, MMS, contacts, camera roll, print, and clipboard. For sharing with Email, a KML file is attached for use in other apps.